The National Institutes of Health noted that memory changes as we age. It's natural that older individuals are more likely to forget things than their younger counterparts. Many seniors will perform worse than adults on learning tests or complex memory exams. However, if given ample time seniors can earn the same scores – it just takes longer for the answers to come to them. Age-related memory loss can make it more difficult to learn new things, cause a person to lose sight of personal objects and have a senior forgetting more complex information. 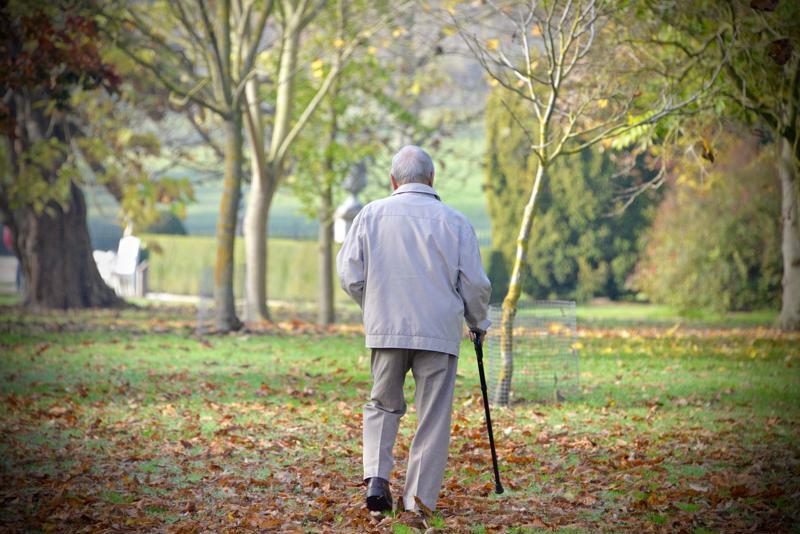 Dementia can lead to seniors becoming lost. While forgetfulness may be a symptom of dementia, this disease is much more serious than forgetting things on occasion. The difference between the two is major – like leaving your wallet at home versus leaving home and not remembering where you live. Dementia is a form of mild cognitive impairment and can be diagnosed by a neurologist. If you are concerned a loved one has dementia, take the individual to see a doctor. After discussing symptoms and a series of tests, including blood and urine samples, the physician will offer his or her thoughts on the person's health. This condition can include many aspects, from getting lost to an inability to follow directions and a tendency to repeat questions or stories. Some seniors who have dementia forget who their friends are, don't understand the passage of time and cannot navigate from one place to another. Alzheimer's disease is a form of dementia that can affect a person's safety, taking away his or her ability to drive, handle money or live alone. People with Alzheimer's may neglect their personal safety, forgetting to bathe and brush their teeth or even eat properly. This disease's progression is typically slow as the person loses functioning over a period of years. "Lack of blood supply to the brain can cause dementia." Another common form of the condition is called vascular dementia. This occurs after some brain tissues and cells die during a stroke or other change in blood supply to the brain. This condition can occur suddenly in the event of a lack of oxygen to the vital tissues of the brain. Vascular dementia can alter a person's ability to speak, memory and reasoning skills and coordination. Some people with the condition also have mood swings and personality changes. For more serious memory issues or sudden cognitive troubles after a fall or medical incident, take your senior friend or family member to the doctor. While dementia is not reversible, a diagnosis can help you ensure the person you care about is in good hands. This may mean helping him or her transition to memory care to live a comfortable life with safety parameters set specifically for assisting individuals with memory issues.